Just under 300,000 Allied servicemen from Britain, the Commonwealth and the United States were captured in Europe and North Africa between 1939 and 1945. POW goes beyond the escape stories made so familiar by films like The Great Escape to reveal what life was really like for these men: from the shock of capture and transit, the rigours and pursuits of daily life, to liberation and homecoming. 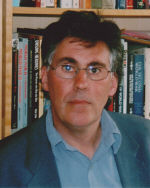 Larger-than-life characters from POW lore – such as the Australian escaper John Peck and legendary RAF camp leader Dixie Deans – are all here, while the stories of eleven individual prisoners are woven through the narrative, making it a personal as well as collective history. From the challenges of day-to-day life to the high drama of secret organisations, sabotage and escapes, POW provides a compelling window onto a crucial aspect of the Second World War. "…fascinating study of the prisoner of war experience." 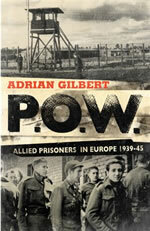 "Adrian Gilbert’s comprehensive history is a sobering corrective to the Hollywood version." "...a comprehensive and worthwhile examination.."
"...this excellent history...a valuable record...Gilbert is to be congratulated; with verve and scholarship he has illuminated a murky area of the Second World War, and evoked both pity and, occasionally, grim comedy." "...a depressing, uplifting, funny and tragic account, probably the most comprehensive story of the life and fate of British prisoners of war to be committed to paper."